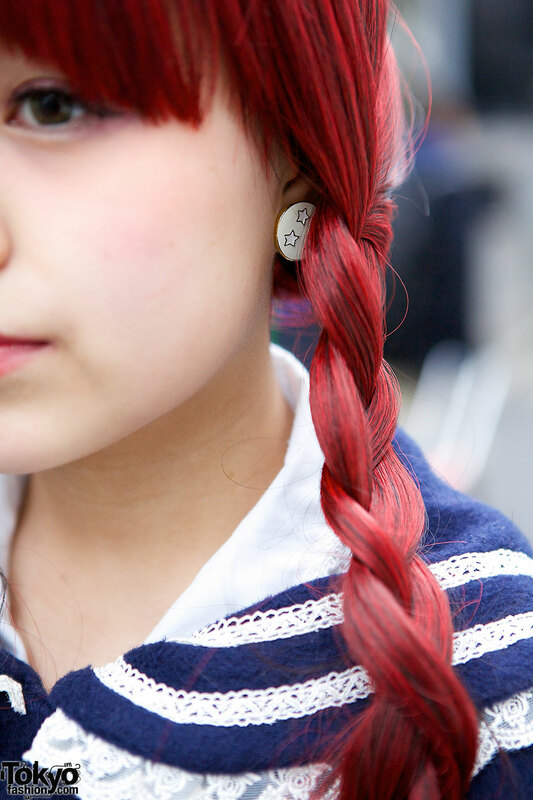 This 17-year-old student is Iwamatu, and she is wearing a cute sailor-inspired look with red braided hair. Iwamatu’s navy coat was bought resale, and her dress is from Kinji. 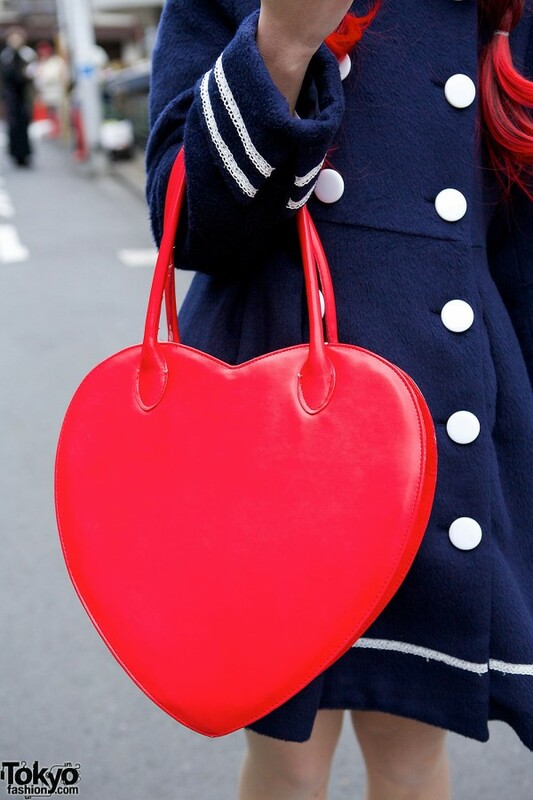 She accessorized with a heart shaped bag, cute plastic rings (including a teddy bear & “Sweet”), star earrings, and buckle loafers. 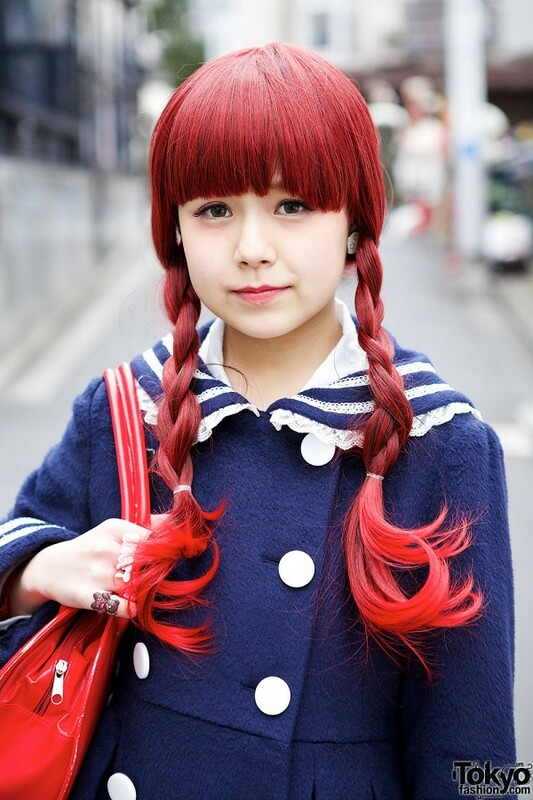 She told us she likes the Harajuku shop Bunkaya Zakkaten and the music of Hanae. 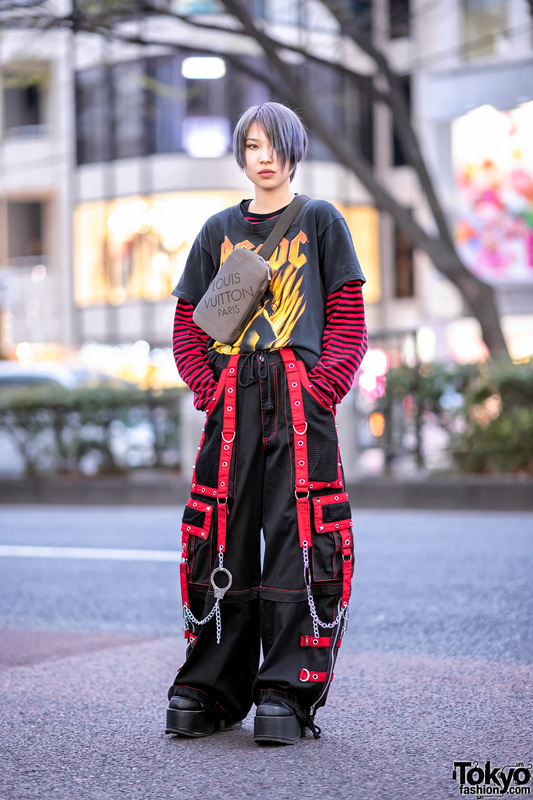 Iwamatu is active on Twitter if you’d like more info and pictures! She’s one of the cutest girls I’ve ever seen~! She looks adorable ? WOW I love her hair! Yup, this is what I’m talking about. She’s so cute. I’m in love. Her hair is really pretty!!! c’est la plus mignone du mone :p j’aime trop ses bagues !